Oops! 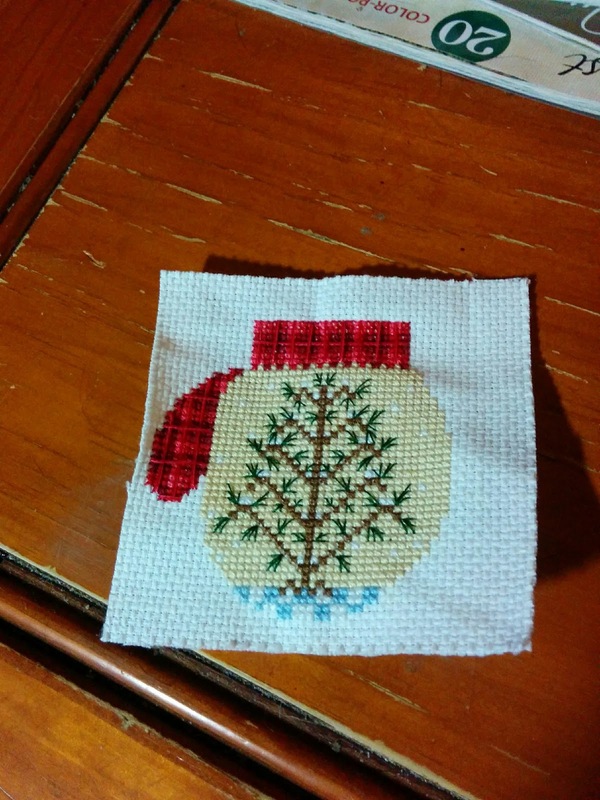 It has been a few days since I have posted a stitching picture. I finished this mitten yesterday while we were both hanging out at home thanks to a Nor'Easter that roared through Thursday night into Friday morning. I started yet another mitten pattern yesterday evening, photo to be posted when my fingers warm up enough. The dog and I were out on the golf course this afternoon, on a walk that included my boot breaking through some ice to get covered in mud and a phone call home to get help to round up the dog because my hip was wrenched during the mud incident. Fun times in -14C weather. On the upside, my snow shoes came in handy today in the new snow! We are forecast for another snow storm tomorrow night so Monday will be interesting. Monday is one of my days off and I must admit that I quite enjoy having the house to myself on my days off. I can putter around without tripping over someone asking me why I am doing this, that or whatever. Winter has arrived!